Cape Style Home In Prime Location! Property Sits On A .11 Acre Lot. 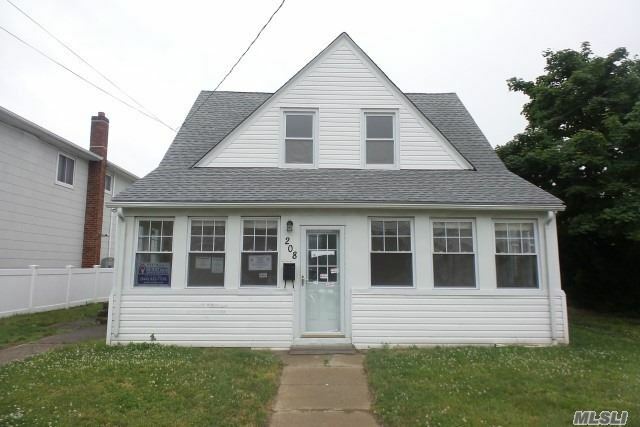 Home Boasts 3 Bedrooms, Full Bathrooms, Kitchen, Plenty Of Yard Space! East Rockaway School District #19. Low Taxes. Minutes To Shopping, Recreation And Transportation. Close Proximity To Bay Park And Hewlett Bay. Baypark Golf Course, Hewlett Harbor, And The Beach Are All Within A Few Minutes!